April 20th, 2017 - posted by Tiffany M.
If you like a quiet condo for a relaxing vacation, look no further, book it now. We found it very convenient being on the first floor to BBQ often, go for a nice swim and lounge at the large sundeck area. The highlight was the delightful beach walks at sunset. 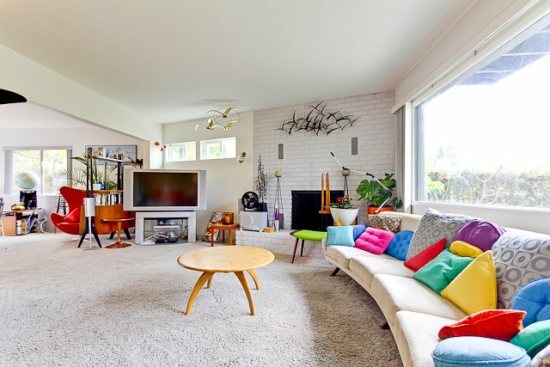 We loved the bright happy colors in the living room, dining area and kitchen, plus even the bathroom. Then once you reach the bedroom in the spacious home, the restful colors of turquoise, provided a comfortable sleeping environment. The room darkening blinds in addition to the vertical blinds, blocked out the night lights of the city. There was plenty of room in the closets for our luggage storage, once we unpacked and got set up for a fun filled week. The whole condo was well thought out, there were two twin pull out beds for teens in a separate area. The kids have their own bed and dont have to share a sofa sleeper. The owners provided a gallery wall of paintings, I think all watercolors of various themes to inspire. And what a treat for two to cook together in the large spacious new kitchen, it had everything needed. 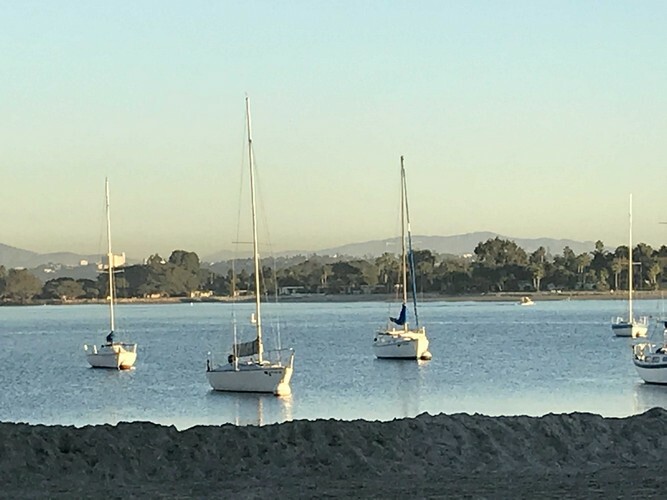 There was an AC unit at the condo, but San Diego weather rarely needs any AC, being at the beach, the fresh salty breeze is a delight to breath. Looking out at the calming color of the pool through the front windows added to the feel of being on vacation. The only regret was not having enough time to go for a bike ride. Even though the owners provided bikes for free, there was not enough days to squeeze in all there is to do in this lovely area. Walking up Garnet is a kick, to the many fun shops & eateries. The convenience of having a reserved parking spot in the garage, was grand. This is the place to stay for a Wonderful Vacation. May 30th, 2010 - posted by Lee S.
Loved the house! My friends and I have visited Mission beach the last 4 years and this was one of the best stays. The rooftop deck was fantastic and the rooms were comfy! March 11th, 2017 - posted by Austino G.